April 29 is the 119th day of the year(120th in leap years) in the Gregorian calendar.There are 246 days remaining until the end of the year. 1968 – The controversial musical Hair , a product of the hippie counter-culture and sexual revolution of the 1960s, opens at the Biltmore Theatre on Broadway, with some of its songs becoming anthems of the anti-Vietnam War movement. The Battle of Levounion was the first decisive Byzantine victory of the Komnenian restoration. On April 29, 1091, an invading force of Pechenegs was crushed by the combined forces of the Byzantine Empire under Alexios I Komnenos and his Cuman allies. Minamoto no Mitsunaka, was born as Myoomaru (明王丸) son of Minamoto no Tsunemoto, was a samurai and Court official of Japan's Heian period. Mitsunaka belonged to the Seiwa Genji branch of the Minamoto clan, which traced its ancestry to Emperor Seiwa. He loyally served several successive Fujiwara regents beginning with Fujiwara no Morotada. 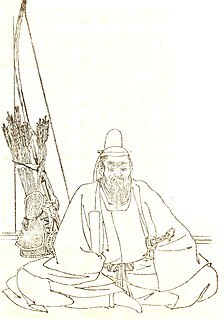 Mitsunaka allied himself with Morotada in 969, by implicating Minamoto no Takaakira—Morotada's major political rival—in a plot against the throne. It is not clear whether these accusations were true, but Takaakira was sent into exile, placing Mitsunaka firmly in Morotada's good graces. Later, Mitsunaka would assist Fujiwara no Kaneie in his plot to coerce Emperor Kazan into taking Buddhist vows and abdicating in favor of Fujiwara's seven-year-old grandson. Hou Junji was a Chinese general and official who served as a chancellor during the reign of Emperor Taizong in the Tang dynasty. He is best known for leading the Tang military campaigns against the Gaochang and Tuyuhun kingdoms. In 643, he was implicated in a plot by the crown prince, Li Chengqian, to overthrow Emperor Taizong, and was executed. The chancellor was a semi-formally designated office position for a number of high-level officials at one time during the Tang dynasty. This list includes chancellors of the reign of Wu Zetian, which she referred to as the "Zhou dynasty" (周), rather than "Tang" (唐). Saint Endelienta was a Cornish saint of the 5th and 6th century. 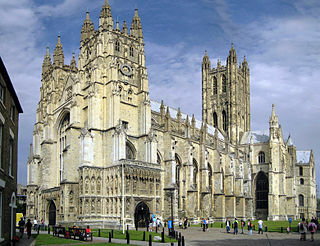 She is believed to be a daughter of the Welsh King Brychan, and a native of South Wales who travelled to North Cornwall to join her siblings in converting the locals to Christianity. Legend says that she was a goddaughter of King Arthur, and that she lived as a hermit at Trentinney where she subsisted on the milk of a cow. The saint is commemorated in the church and village of St Endellion which bear her name; Endellion being an Anglicised version of her name. Her feast day is 29 April. Saint Robert of Molesme was an abbot, one of the founders of the Cistercian Order and is honored as a Christian saint. 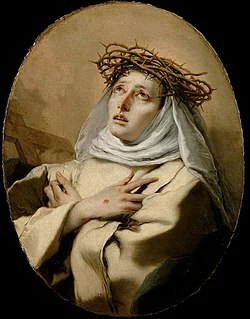 Saint Catherine of Siena, a laywoman associated with the Dominican Order, was a Scholastic philosopher, and theologian who had a great influence on the Catholic Church. She is declared a saint and a doctor of the Church. ↑ "The Parliament of Tasmania from 1856". www.parliament.tas.gov.au. Retrieved 2017-10-25. Wikimedia Commons has media related to April 29 .